What’s so scary about an amusement park? As soon as you head in, your eyes start trying to focus in the dark amid all sorts of creepy fog effects and lighting. 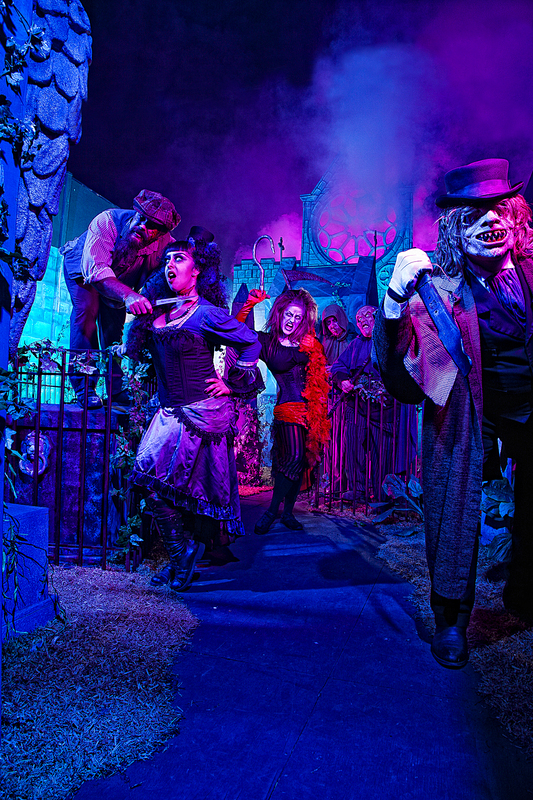 Inside you have a choice of 13 different terrifying mazes and 9 scary shows, plus some of the regular rides that are tricked out with extra-ghoulish features. Then, just when you think you’re safe, there are a whole bunch of creepy characters who pop out at you from every corner throughout the park. At one point walking down the pathway we thought we were looking at a ghostly statue, until she suddenly sprang to live and started chasing people down the path. Yikes! The Halloween Haunt is a special ticket event not covered by regular Knott’s Berry Farm admission or a Knott’s Season Pass. Ticket prices are $36 – $52 pre-sale online and $60 on the day of event. For “Trapped,” Knott’s reservation-only, interactive maze , the cost is $60 per reservations with up to 6 guests per party. If you want to get a jump on the evening, you can sign up for the pre-haunt “Boo-fet” (prices starting at $21.95) before the Haunt opens for the night. 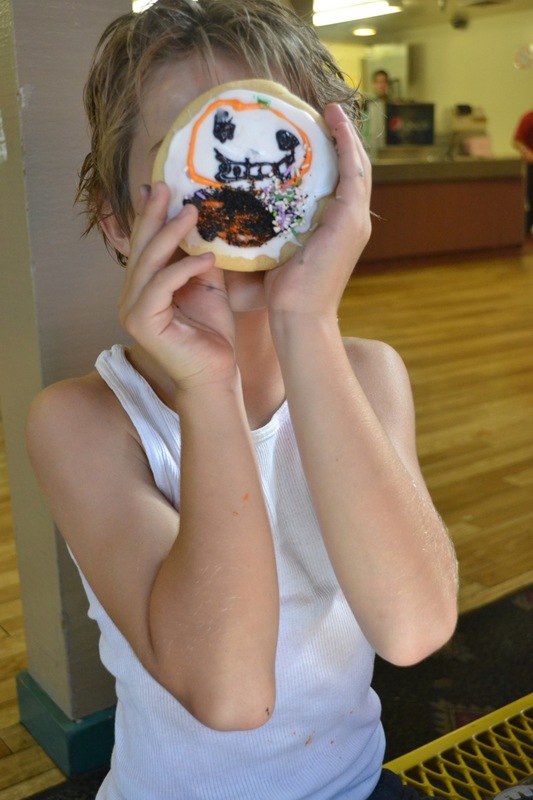 Trick or Treat – This is a classic haunted house, in which each room of the “house” has something ready to jump out and terrify you. Try not to be the person who is asked to sit at the dining room table (like I did…and nearly jumped six feet in the air!). Dominion of the Dead – Is is possible to have a soothing haunted house? This one is eerie in a dreamlike way, with the ethereally haunting music to match. To give you an extra shiver up your spine, some of the costumed actors reach out and tickle you lightly with a feather. Delirium – All of your creepiest and grossest nightmares come to life in this haunted house. Cockroaches, slimy bugs, walking over dead bodies, squeezing through tight spaces…this one’s got it all. Dia de los Muertos – This “Day of the Dead”-themed attraction is eerie in a fun house sort of way. Brightly colored creatures pop out at you from every corner and at one point you have to feel your way through a room filled with hanging skeletons. Don’t forget those 3-D glasses for an added effect! End Games – Do you like your haunted houses sick, twisted, and bloody? Great! This one’s for you! Think chainsaws, grinders, torture…Plus, if you’re too scared to visit, you can also get your thrills watching other people get scared out of their minds. Check out Endgames Live! on Livestream during Haunt hours. The Haunt is open from now through Halloween on Friday/Saturday nights from 7:00 pm to 2:00 am, and Thursday/Sunday nights from 7:00 pm to 1:00 am. 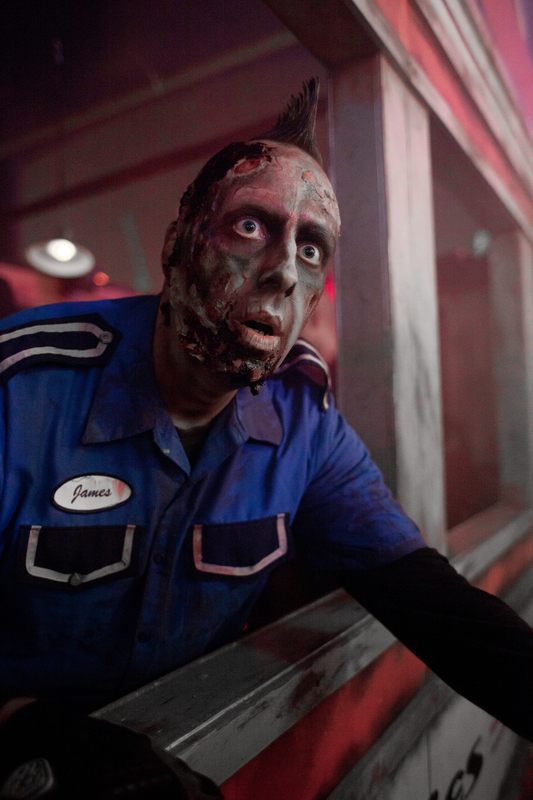 Regular park admissions close after 5:30 pm on Haunt days. Knott’s Berry Farm is located at 8039 Beach Boulevard in Buena Park CA 90620. Knott’s Berry Farm treated us to an evening at Knott’s Scary Farm; we did not receive compensation. 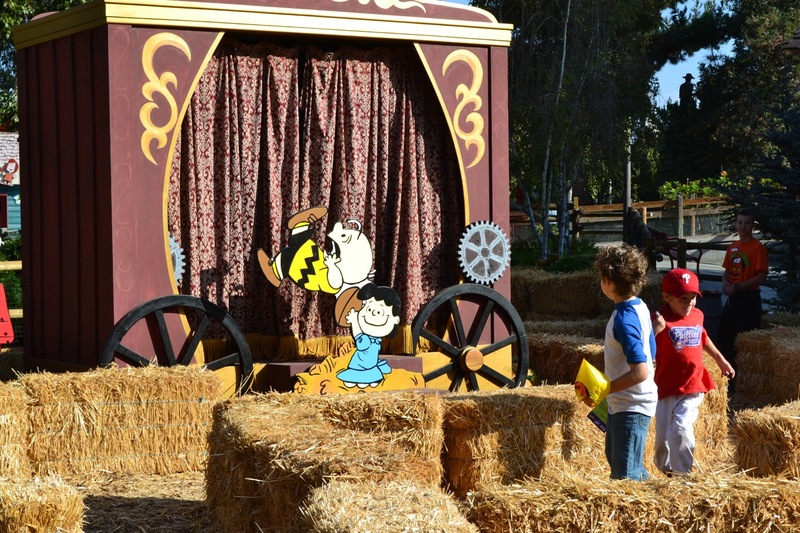 All photos courtesy of Knott’s Berry Farm.